Never has a review been written more out of necessity than compulsion. I originally watched this a few months ago as part of my Kate Winslet series, but never got around to writing the review, due to just generally being busy and writing it not being a part of any of 2015’s goals. I didn’t like the film when I watched it, for reasons I’ll briefly explain, but I really don’t want to rain insults upon it because it was the second and final film to be directed by Alan Rickman before his tragic death earlier this year, and was also one of the last to feature him as an actor. Rickman appeared in many films that mean a great deal to me, from the Harry Potter franchise, Robin Hood: Prince of Thieves, The Hitchhiker’s Guide to the Galaxy (my favourite book, and he’s one of the best parts of the film), Love Actually, Dogma and, most of all, Galaxy Quest, and it saddens me that in order to complete my Kate Winslet quest I must sit here and write bad things about something he slaved over to create in his final years. I rue my laziness in not having written this sooner. So, I’ll try to be as positive as possible for the sake of the late great Mr. Rickman, but the problem is this film really isn’t for me. It’s a romance-driven period piece revolving around gardening, so I’m not entirely sure who it is for. It’s absolutely beautiful, that cannot be denied, with the use of colour and overall design being amazing. Many shots are worthy of being hung on a wall or, y’know, being turned into a garden. The acting is also decent, with Winslet’s Sabine suffering from a tormented past and Schoenaerts trapped in a love-less marriage to Helen McCrory. Even back when I watched this I considered all the scenes with Rickman (and bit-player Stanley Tucci, as always) to be a highlight, as he brings his trademark grumpy yet bemused expressions to his role as the King. The first time he and Sabine meet is pretty entertaining, taking place in a secret garden within which she confuses him with another gardener. Unfortunately my main issue was the plot, which could be spelled out very early on, with no surprises along the way until a very out of place revelation at the end which didn’t really impact much apart from the subtler tones of Winslet’s performance. In many ways the film is like a seed whose species you know, so over time you watch it grow into the plant you absolutely know it is. However, it’s also very much like a garden, in that it looks very pretty, but to the casual observer not a great deal is happening and it’s not going anywhere. 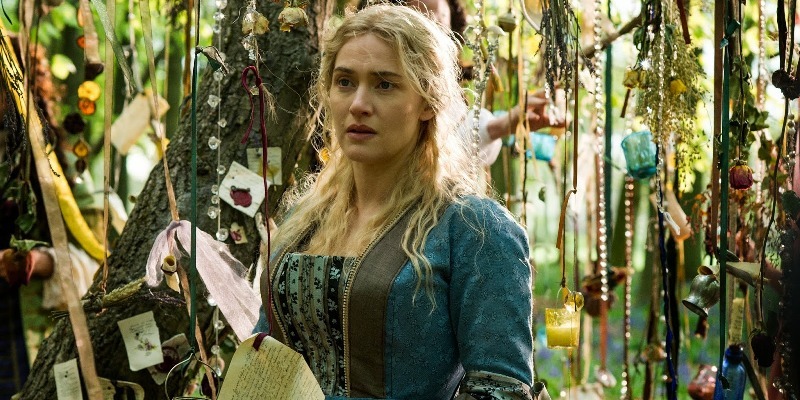 This entry was posted in Choose Life, Film-Makers, Kate Winslet, New Release, Review, Unlisted and tagged A Little Chaos, Adrian Scarborough, Alan Rickman, Danny Webb, Helen McCrory, Jennifer Ehle, Kate Winslet, Matthias Schoenaerts, Stanley Tucci by jaycluitt. Bookmark the permalink.